Dr. Luise Hermanutz is a Professor in the Department of Biology at Memorial University in Canada. She received her PhD in Plant Ecology from Western University in London, Ontario. Afterward, She taught as an Instructor in the Geography Department at Memorial University and conducted postdoctoral research at the University of Wollongong in Australia, before joining the faculty at Memorial University. Luise is with us today to tell us all about her journey through life and science. Luise likes to spend her spare time outdoors enjoying the nature of Newfoundland, and she is particularly fond of snowshoeing in the woods behind her house. In addition, Luise has fun cooking, entertaining, and reading. Her work is dedicated to solving the puzzle of how organisms survive and adapt in their environments. She is interested in how plants and animals interact and how that shapes the world around us. Most of Luise’s work focuses on northern boreal forests and arctic tundra. Luise was fascinated with plants and animals as a kid. She loved exploring the undeveloped area behind her house and was known to bring back creatures to show her parents (perhaps to their dismay!). She was inspired by Jacques Cousteau’s great adventures to pursue marine biology in college, but later switched to botany where the program was smaller and more nurturing. Luise has had an interesting career journey with several twists and turns where she left science, but she ultimately decided that this was where she wanted to be and what she wanted to do. In the last year of her PhD, Luise was looking at interactions between genetics and the environment in weeds. She wanted to know how weeds can be so successful pretty much anywhere. After 1.5-2 years of breeding plants and preparing for their transfer into the field, Luise was ready for the final phase of the experiment. Unfortunately, the day after all of her samples were planted, a torrential downpour washed them all away and the experiment was ruined! One type of major success Luise treasures is getting support and recognition from the communities she works in. For example, she is doing research on endangered plant species found in Limestone Barrens of Newfoundland. It has been a major collaborative effort to communicate the importance of these species and to promote conservation efforts. Seeing the communities becoming champions of these endagered plants has been very rewarding. Luise really loved Australia and its amazing biodiversity. Southwest Australia is one of the 15 biodiversity hot spots in the world. In particular the Palmer Valley and Kakadu National Park were two of her absolute favorite places because they are so breathtakingly beautiful. A memorable experience that Luise and her lab will never forget happened at her isolated field camp in Mealy Mountains in Labrador. They went out late in the field season to wrap up a project, and they were ready to wrap up a productive day with a birthday cake and celebration. However, a severe windstorm rapidly descended upon the valley with ice and snow. They lost all of their tents and were forced to huddle together in the weather haven, taking turns trying to hold it down. 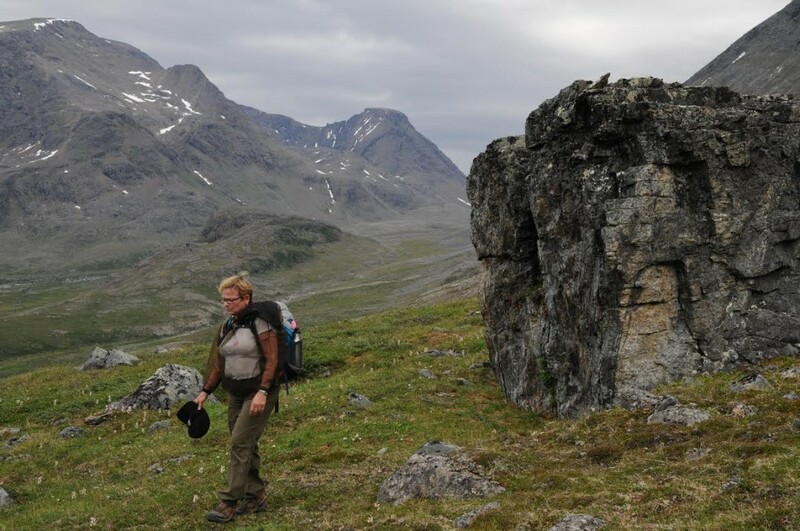 Luise is a plant ecologist, conservation biologist, and field biologist conducting interdisciplinary research in boreal and arctic/alpine regions of Canada. She teaches Conservation Biology and Boreal Ecology, the latter as a field course. Her main research focuses on the impacts of climate change on arctic/alpine ecosystems, impacts of non-native invasive species (herbivores & plants) on forest regeneration, protected areas management issues, and the conservation of rare Newfoundland Limestone Barrens ecosystems. Luise have also collaborated with scientists at Kings Park & Botanical Gardens (Perth, Australia) on rare Western Australian eucalyptus during her sabbaticals. Her lab prides itself on their outreach and education partnerships with government and communities throughout the province. She serves on several provincial government advisory committees, including the Species Specialist Advisory Committee, which advised the government on endangered species, and the Wilderness and Ecological Reserve Committee, which advises the government on protected areas. Luise loves to travel and explore our wild spaces. She strongly believes that scientists are obligated to share their knowledge and understanding of the world and how it works with society! It’s all about science education.